I would like to thank Stephanie, from The Enchanting Rose for hosting the Tea Cup and Mug Exchange, and for giving all of us an opportunity to meet and make new friends! She has worked tirelessly to make this such a success, always so patiently and graciously returning my emails, ~smile~ You are so special, Stephanie! This was my first time joining, Stephanie's Teacup and Mug Exchange party, I was so excited and happy to meet new friends. My first package of goodies was from Julie, who blogs at Julie's Lifestyle! Isn't that a beautiful mug, and the box it came in was so pretty, just perfect to sit on my desk! I love flowers, Earl Grey teas are some of my favorites! Julie also crochet me a beautiful coaster and mat, for my mug and teapot, the colors matched my dining room perfectly and what a beautiful note she sent as well! Thank you Julie for your thoughtfulness, I am so looking forward to getting to know you! 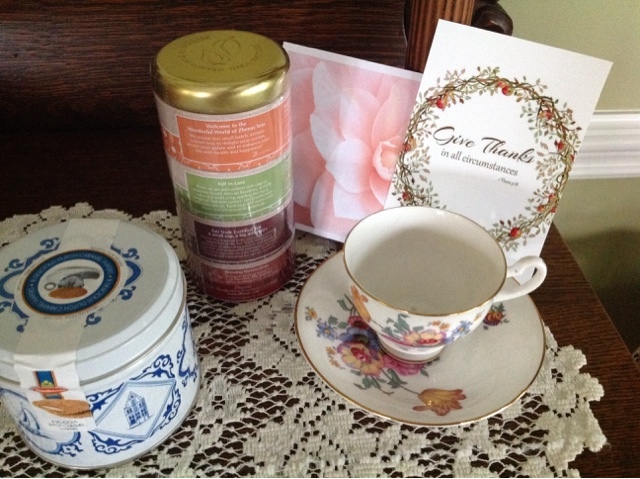 Since I signed for a teacup and mug, my next goodies were from Christine, she blogs at Cherishing a Sweet Life, she sent me such a delicate and beautiful tea cup and saucer, with some of the most delicious cookies in a lovely tin box, with an array of delectable teas, and a beautiful note too! Thank you so much Christine, for your thoughtfulness, I am also looking forward to getting to know you! The teacup and saucer, now have a special place of honor in my hutch! The Dutch caramel wafers were gone in a few days, so delicious,and the flavored teas I have been saving for a cold fall evening as I sit by the fire, hopefully this weekend! 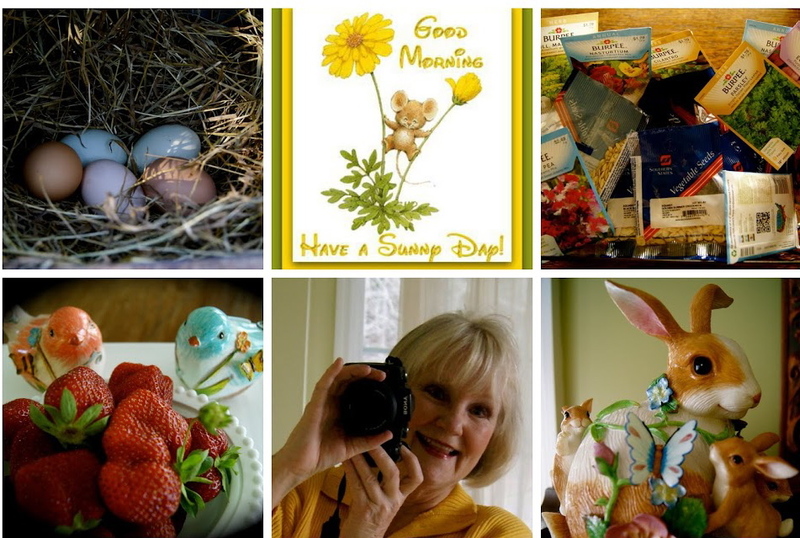 Just as my name was given to two beautiful ladies, I received two names,( Karren, who blogs at Oh My Heartsie Girl, and Judy who blogs at,20 North Ora )to send some special gifts to also, thus this means I not only have made two new friends, but four, wow! at this rate I will have lots of new friends! I must stop at this point to apologize to my new friends as well as my older friends as to my lack of visiting lately,it has been due to some circumstances beyond my control, my desire is to soon be back to blogging with more consistency! Today I am linking with Stephanie, at Enchanting Roses, for the reveal of all the Teacup and Mug exchanges, I have been so looking forward to this day! Please join us for a fun filled party!